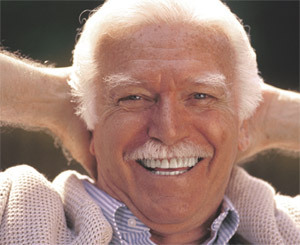 Do you need Dental Implants? Call ☎ Nampa Office Phone Number 208-467-1227 to make an appointment today. Dr. Ballenger has been placing dental implants during his 25 years of practice with great success. He firmly believes in trying to keep the loss of a tooth a one-tooth problem and replacing that tooth with a dental implant when advised. Dr. Ballenger places only top of the line dental implants, such as Straumann, Nobel and 3i. Using the most recent advances in dental implant technology, Dr. Ballenger is able to place single stage implants. These implants do not require a second procedure to uncover them, but do require a minimum of six weeks of healing time before artificial teeth are placed. There are even situations where the implant can be placed at the same time as the tooth extraction – further minimizing your number of surgical procedures. Dental implant placement is a team effort between an oral and maxillofacial surgeon and a restorative dentist. Dr. Ballenger performs the actual implant surgery, initial tooth extractions, and bone grafting if necessary. The restorative dentist (your dentist) fits and makes the permanent prosthesis (tooth/teeth). Your dentist will also make any temporary prosthesis needed during the implant process. Call our office in Nampa, ID now for an appointment ☎ Nampa Office Phone Number 208-467-1227. Dr. Ballenger is a very understanding doctor. He had the best price for extractions and implant after calling around to other oral surgeons and dentist. I came back for repeat visit because after my extraction and after my implant just because I was afraid I did something to mess up the healing process. They were so good about getting me in and didn't make me feel bad for wanting to come in again. The bonus is all of those visits I had after my extraction and implant were at no cost to me, can't beat that! I will be choosing Dr. Ballenger for all of my families oral surgery needs.